Toyota Aygo Running Costs, MPG, Economy, Reliability, Safety | What Car? Around 90% of Aygos are bought on PCP finance, and investigation into monthly payments for the equivalent Skoda Citigo reveals that the latter is cheaper (based on the same deposit over a three-year period). However, the Aygo should cost you slightly less per month than a like-for-like Kia Picanto or Hyundai i10. The Aygo’s running costs are more impressive. With CO2 emissions of 93g/km, you’ll be liable for £125 in road tax in the first year of ownership and the standard £140 in each consecutive year. Fuel economy is a competitive 57.7mpg as measured in WLTP tests, but expect to see a more realistic 48mpg in real-world conditions. Entry-level X models come with LED daytime running lights and electric front windows, but our preferred X-Play trim adds a leather-wrapped multi-function steering wheel, air-con and electrically adjustable door mirrors. 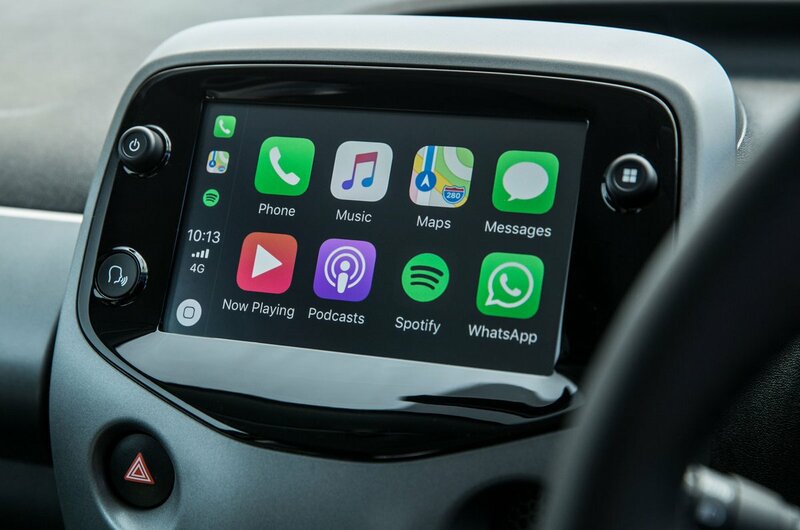 The 7.0in touchscreen infotainment system is standard, with sat-nav as an option, although you’ll have to upgrade to X-Trend trim if you want to add Android Auto and Apple CarPlay. There are two more trims above that, X-Cite (a Magenta Fizz-coloured special edition) and X-Clusiv, which add more standard kit including more style and customisation options. However, the more you spend on the Aygo, the less financial sense it makes, so we'd stick with the cheaper trims. 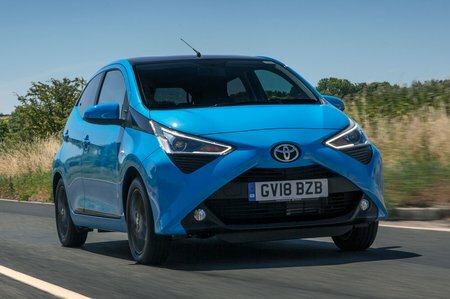 The Aygo didn’t feature in the 2018 What Car? Reliability Survey, but Toyota as a brand finished in an impressive third overall, ahead of Kia and Skoda. All Toyotas come with a five-year, 100,000-mile warranty, with no mileage limit for the first year. That's significantly better cover than that provided on the Citigo, although the Kia Picanto benefits from the brand’s industry-leading seven-year coverage. The Aygo was awarded a disappointing three stars for safety by Euro NCAP in 2017. A safety pack (with automatic emergency braking (AEB) and lane departure warning) is available on all but entry-level X trim that lifts the Euro NCAP rating to four stars. Top-spec X-Clusiv trim is the only variant that has this as standard, but it’s available as an option on all trims except X. Every Aygo has a steering column lock and an immobiliser. However, security firm Thatcham Research has rated the Aygo poorly in its resistance to being broken into, awarding it two out of its maximum five stars. 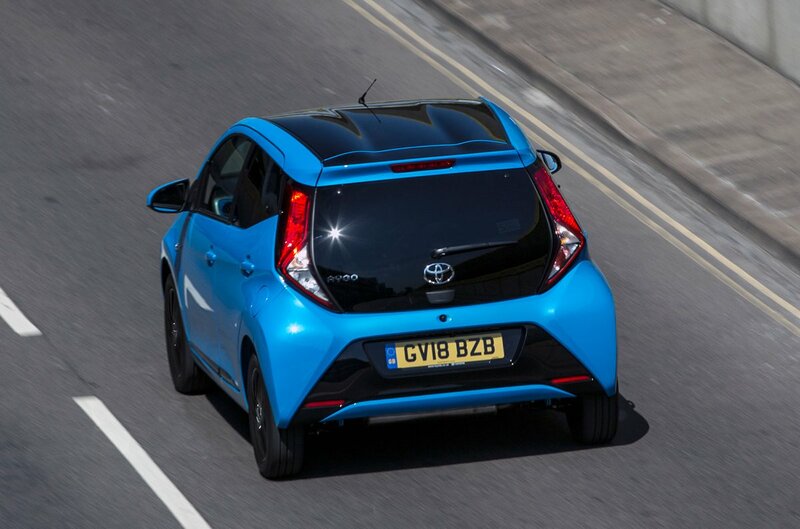 In tests to determine its resistance to being stolen, the Aygo did better, scoring four stars.